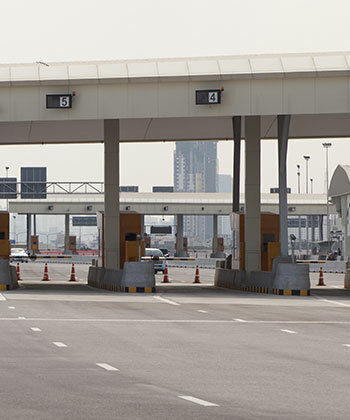 TollPlus’ ToP-CCH is the central clearinghouse system that can clear toll transactions between multiple toll agencies within a region, state, country, or continent. The system supports the clearing of transactions using multiple transponder/tag technologies as well as license plates. ToP-CCH offers the settlement of funds using a peer to peer settlement or through a third-party clearing agency/authority. ToP-CCH enables interoperability between agencies in a region, state, country, or continent. TollPlus's ToP-CCH framework represents a new and far better model for the tolling industry to achieve interoperability and reduce leakage. Delivered as a subscription-based Cloud service, TollPlus lets agencies pay for usage, not software and hardware–at a fraction of the cost of purchasing custom software solutions. TollPlus' scalable, fully managed network service ToP-CCH allows your IT infrastructure to plug directly through a single connection, creating a multi-party, business process platform. You and your operating partners can then exchange and collaborate regardless of technology differences, working together effectively and efficiently. “… the Tampa Hillsborough Expressway Authority (THEA) implemented TollPlus’s first installation of their Enhanced Image Processing (EIP) system in May 2013."